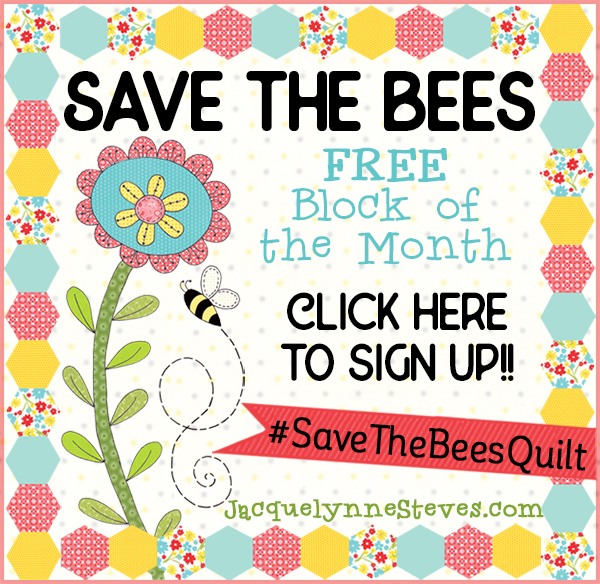 « Our “Save the Bees” Free Block of the Month Featured Bloggers! The Save the Bees Free Block of the Month is rapidly approaching! Look for the first block pattern in your email on August 6, 2018! If you’re not signed up yet, please click here, or fill in the box at the upper right and you’ll get all of the free patterns delivered right to your email inbox!! Woo hoo!! So, speaking of favorite things…. we really need to talk about the giveaways that we do every single month during our Block of the Month event! Every month from August through December, we will be giving away 8 awesome prizes, and then in January 2019 we will do one HUMONGOUS Grand Prize Giveaway! And let me tell you- these are incredible prizes! We’ve got thread, fabric, books, rotary cutters and mats, and more! Please take a look at our 2018 sponsors below, click over and see what they have to offer! And don’t forget to tell them THANKS for their generosity! Olfa is a sponsor again for the second year in a row- You are probably already familiar with their mats and rotary cutters- check out their new Endurance blades, which last 2x longer! Italian company Aurifil makes gorgeous threads for all of your sewing needs and wants! They also have a blog with free block patterns, sewing humor, and more. They have been an AWESOME sponsor of our Block of the Month for all 5 years! This year, we also have seriously yummy Aurifil thread kits available for the BOM, in both 50 wt cotton and embroidery floss. Sarah J. Maxwell designs the cutest fabrics and patterns! 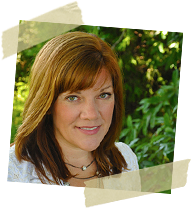 Don’t miss her blog and website! She will be donating some gorgeous fabric again this year. Martingale publishes beautiful books, and you can find patterns, gift items, and notions on their site, too! Beth at EvaPaige Quilt Designs has created a genius “accordion method” for making Half Square Triangle units which she will be sharing with us! She will be giving away patterns which teach her technique. Kari from New Leaf Stitches will be giving away her fabulous Clearly Perfect Slotted Trimmers. Guess what? These will work perfectly with Beth’s patterns! You’re going to love this. 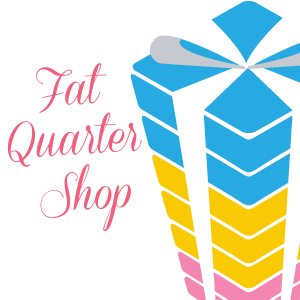 The Fat Quarter Shop * is your place to go for fabric, patterns, notions and more- it’s a quilter’s paradise! Thermoweb is a manufacturer of fabulous products for the quilting, sewing and crafting industries, including Heat n Bond fusible web and DecoFoil. 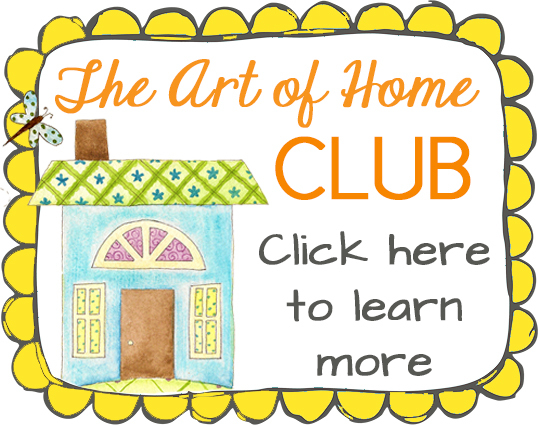 Visit their blog for tons of creative ideas and projects! I only use Heat n Bond fusible in my projects- it’s the best! This article was posted in Block of the Month, Featured, Giveaways & Contests. Bookmark the permalink. Follow comments with the RSS feed for this post.Post a Comment or leave a trackback: Trackback URL. Could you please send me the fabric information? Where else can I find it and or the collections name to see if I can order it somewhere else please. Thanks. Hi Jacquelynn, I seem to be lost for the giveaway STB. I hope it is here. My smallest was a doll quilt, I was making them for my dil Hillary, for her niece kenna she played with her dolls. BTW I LOVE YOU FABRIC CHOICES ON YOUR STB MINI QUILT.